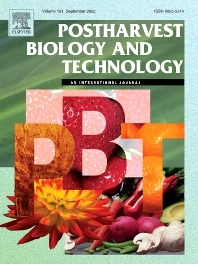 The journal is devoted exclusively to the publication of original papers, review articles and frontiers articles on biological and technological postharvest research. This includes the areas of postharvest storage, treatments and underpinning mechanisms, quality evaluation, packaging, handling and distribution of fresh horticultural crops including fruit, vegetables, flowers and nuts, but excluding grains and forages. Articles on their postharvest treatment as affecting the eventual quality of processed product may be included, but articles on processing of such crops beyond refrigeration, packaging and minimal processing will not be considered. Papers reporting novel insights from fundamental and interdisciplinary research will be particularly encouraged. These disciplines include systems biology, bioinformatics, entomology, plant physiology, plant pathology, (bio)chemistry, engineering, modelling, and technologies for nondestructive testing.